A friend of mine had an old bike — a vintage Schwinn with chrome fenders and bullhorn handlebars — and I was all set to ride it. 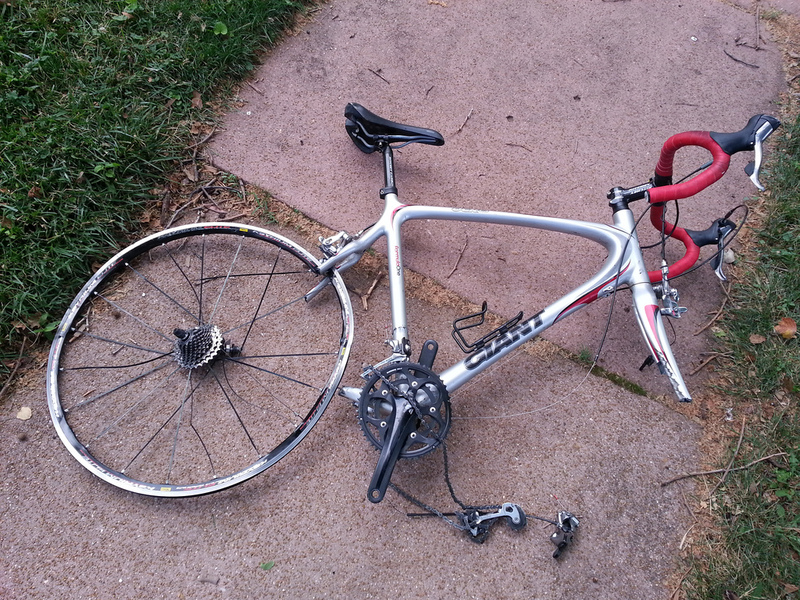 I checked the old chain for wear, lubed it up, and had a new tire put on. 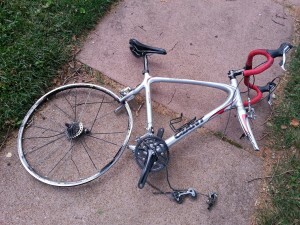 I took it out onto the trail, mounted the bike…and crashed to the ground. Bruised. Humiliated. Because I forgot to check the seat height before I climbed onto the bike. I didn’t realize that it was way too high for me, and I was baffled at first when I couldn’t seem to stay on the bike. The person who owned the bike before me is the same height, so I expected the seat to be the right height. Or, more accurately, I didn’t even think about it. Until I found myself scrambling to get off the pavement, while onlookers watched. With no wrench on hand to adjust the seat, I put my tail between my legs and walked the bike home. Don’t forget basic bike safety stuff. Make sure a bike is the right fit for you before you buy/rent/borrow or ride it. Don’t forget to lube your chain. And remember to replace your chain before it starts to wear out your cassettes too. If you work on your own bike, great, if you don’t an experienced mechanic can do it for you. Don’t drop a big chunk of money on a fixie or a fat bike or any other type of highly specialized bike if you’ve never ridden one before. People hae done this — particularly with fixies — because they want the bike that will make them look cool. But it can be hard to get the feel of a fixie an you want to be sure you can actually ride it before you buy it. And don’t buy a tall bike. Just don’t.